Peanut wont take a dummy however she has developed a habitat of holding onto and snuggling into a blanket for comfort instead. So when the lovely people at Luv My Blankee offered to send us one of their handmade blankets we were very excited to receive it! Luv my Blankee are a company who make blankets in a range of designs and colours as well as the oh-so-soft plush fabric. The blankets measure 70cm by 90cm. 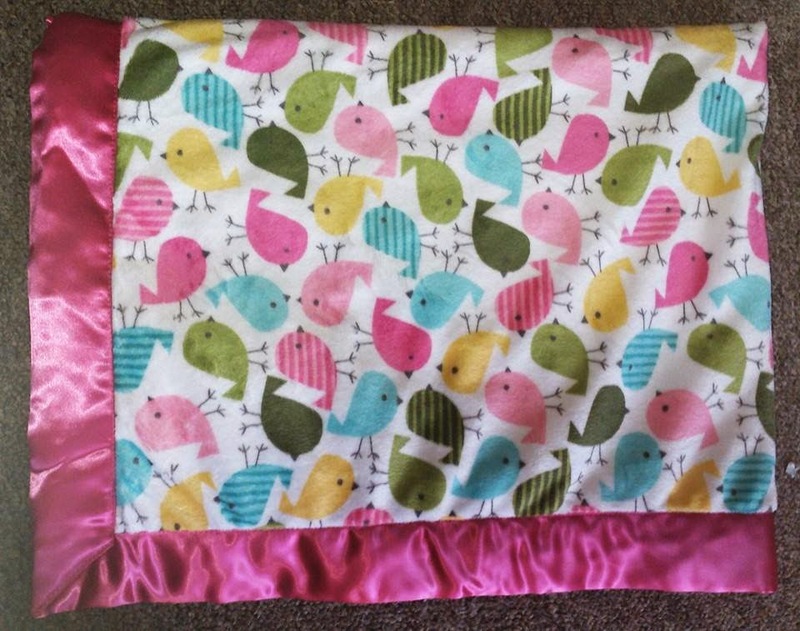 The Luv My Blankee blankets also feature a unique dummy pocket which I can imagine would come in very handy to store a dummy in so when it comes to nap time you always know you have one to hand! Luv My Blankee also offer a service in which you can personalise your blanket with a black and white photo and text onto white plush fabric with a choice of colours for the backing dimple fabric. 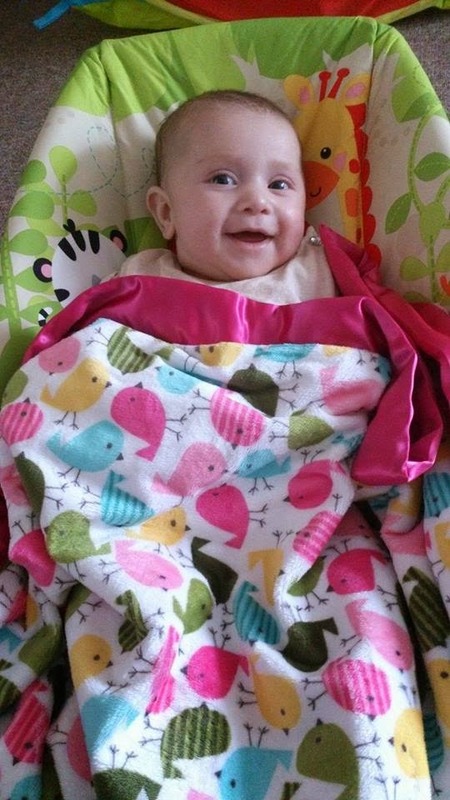 Luv My Blankee blankets are made in the UK (Devon) and are all handmade to your specifications. The blanket is a really good size and is SO soft! 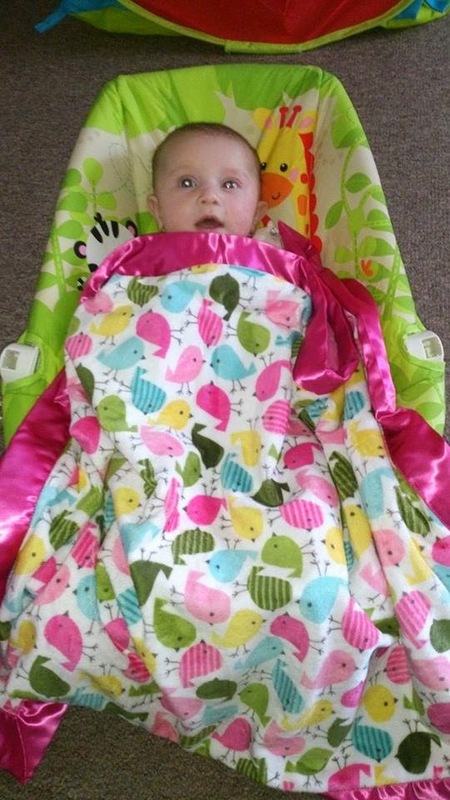 The design is bright and vibrant and the dimple fabric is so snuggly against peanuts skin. 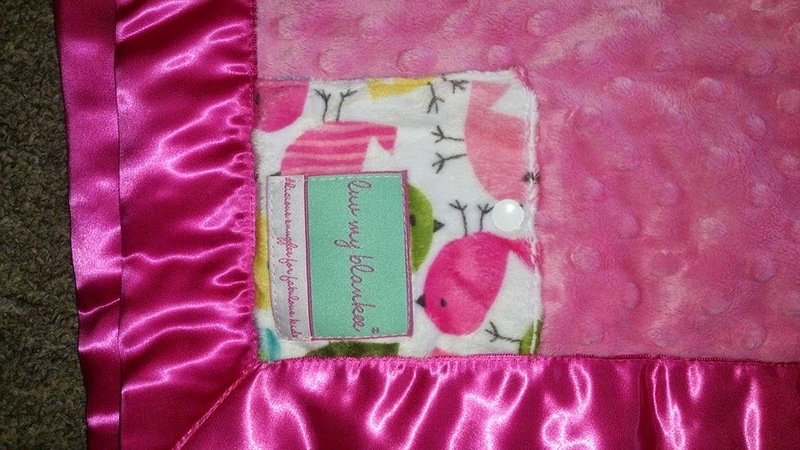 Here is the unique dummy pocket which is situated on the back of the blankee in matching fabric to the front of the blankee and is fastened with a popper button. 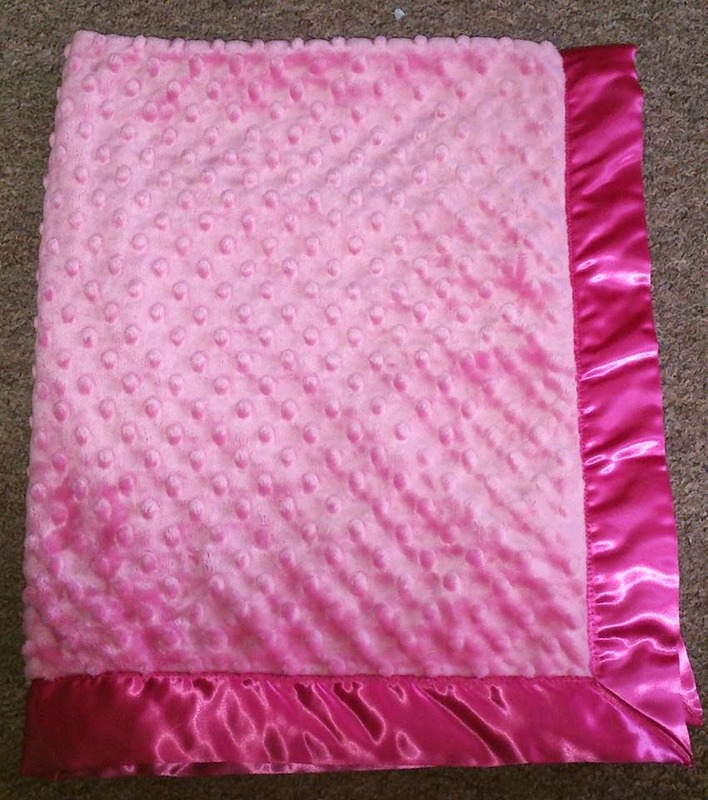 Blankees can also be placed in the washing machine and tumble dryer and wont shrink or bobble so they can easily be washed and dried when needed.